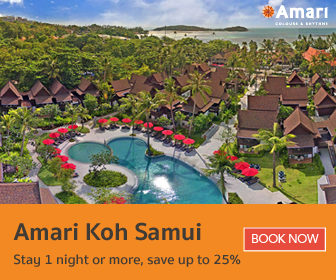 There’s something for every traveller to love about Koh Samui. 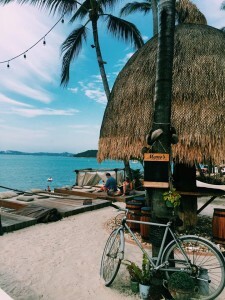 There are numerous attractions on the island, spanning from the clear skies to the smooth, blue ocean, whether you prefer the hustle and bustle or some peace and quiet. 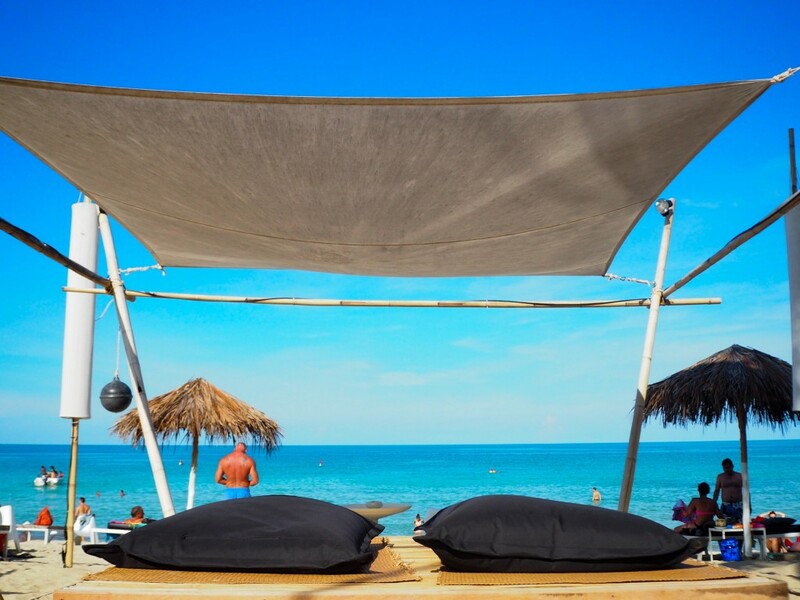 Our top travellers consist of beach lovers, natural explorers, and couples looking for some relaxation. Personally, when I’m on holiday, I love finding a place to chill out and watch the day go by. I also love finding the best sunset views. 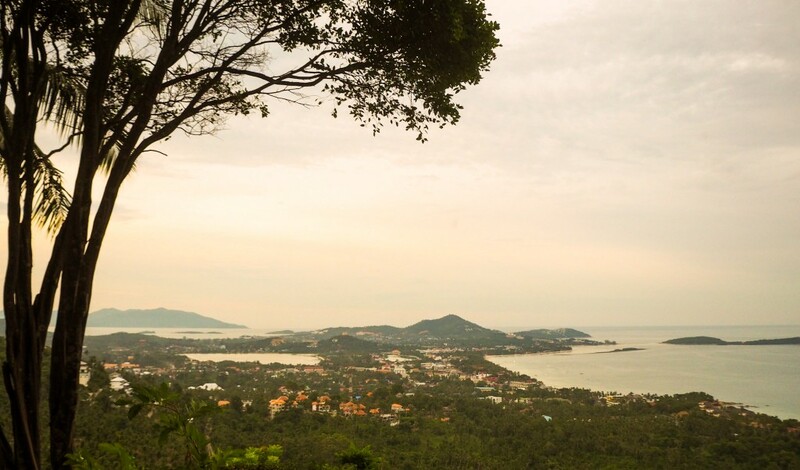 Here’s a glimpse of my 3 best Koh Samui beach views to enjoy before and after the sun sets. 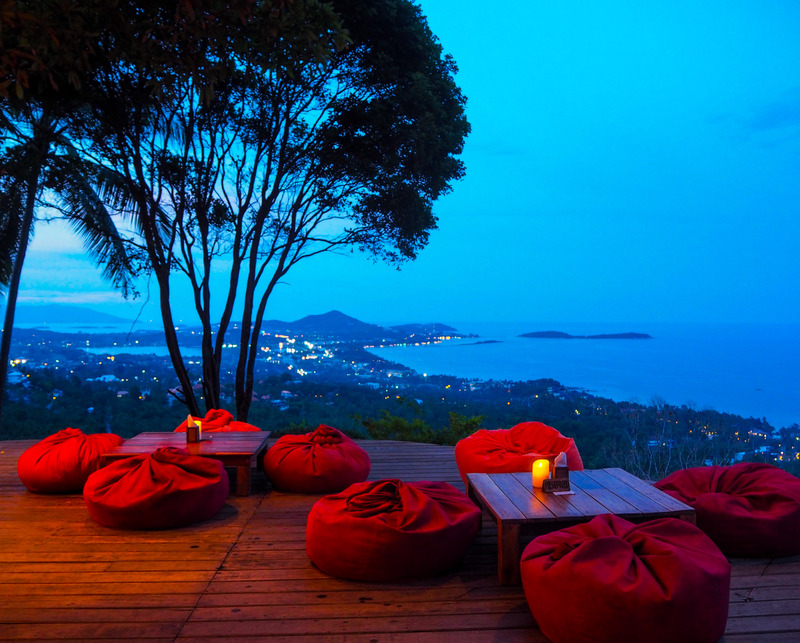 Nothing can beat the bird-eyes’ view of Chaweng Beach and the ocean, where you literally feel on top of the world. I arrived around 5 PM and the popular canopy area was already occupied. For food, I wanted to try something light and unique among Southern restaurants, so I picked Miang Kam. 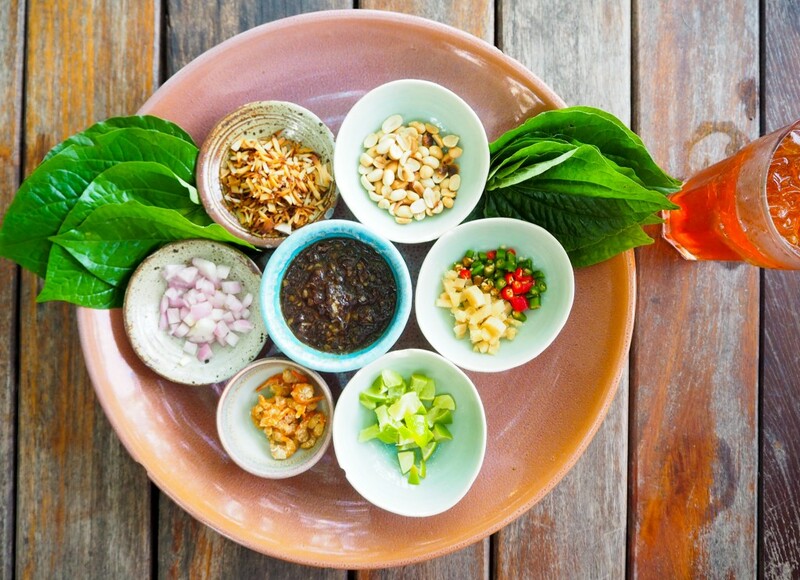 Miang Kam is an appetizer originally from Northern Thailand. It consists grounded peanut, dry shrimp, fresh chili, diced lime, ginger, shallots, shredded roasted coconut, wild betel leaf and dipping sauce in a small, separate container. 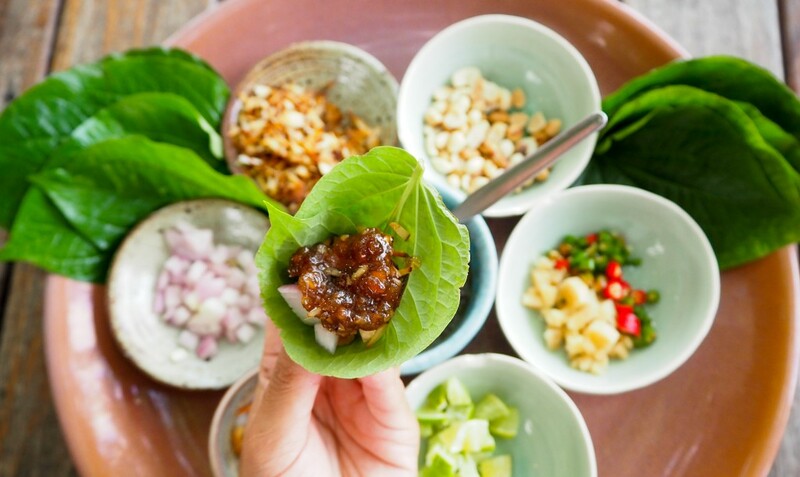 How to eat it: you fold the leaf into the cone shape, put a small amount of each condiment in the cone, add the dipping sauce on top then put it into your mouth all at once. You will taste everything in tandem, which was fantastic. 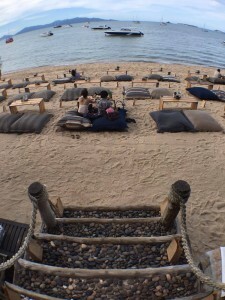 The canopy is laid around 5 tables with beanbag seats so you can literally lay back and sip some cocktails while watching the world go by. There are also small huts in a more private area if you are coming with a big group. I sat down till the sun set to see the Chaweng at night. The view was absolutely stunning; the staff was friendly and accommodated my needs. 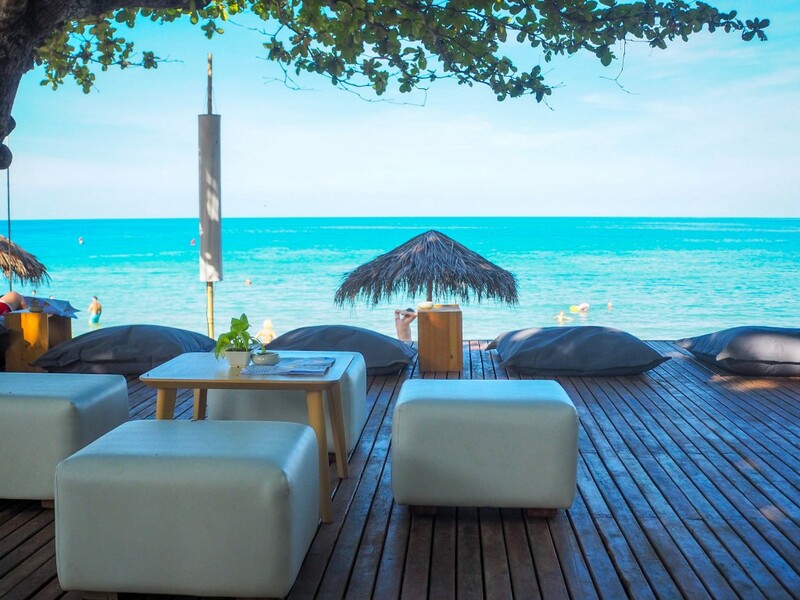 The Beach Bar is located 20 minutes south of Amari Koh Samui, in Chaweng Noi Beach, another popular beach with crystal clear waters. 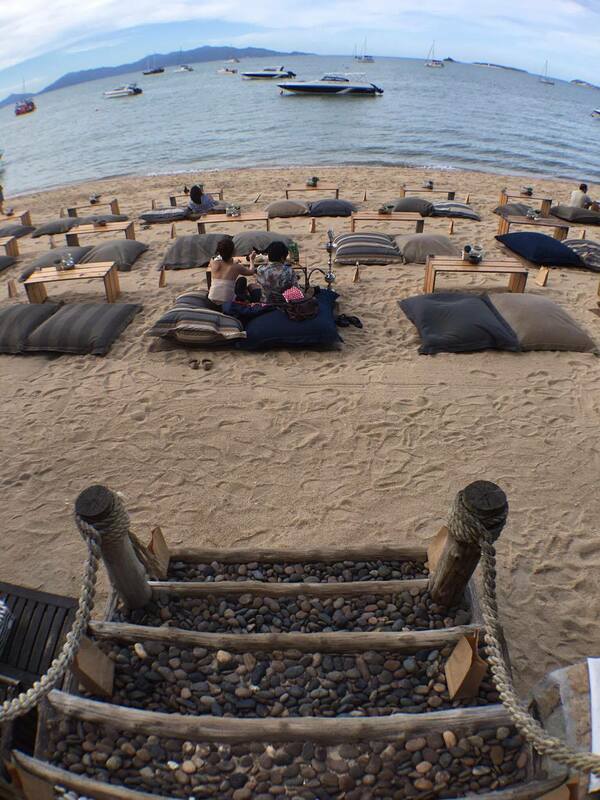 It’s perfect to just laze about and enjoy the beach life. 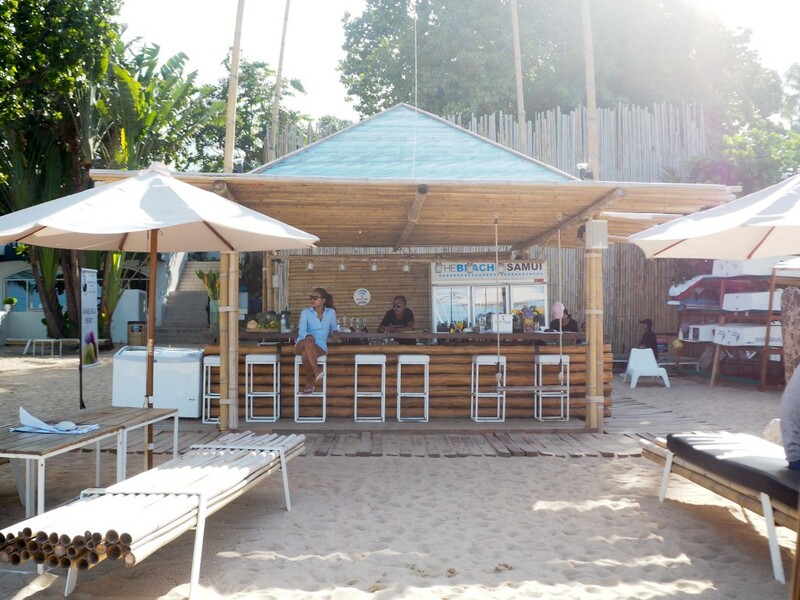 The Beach Bar consists of three different areas: the Gazebo, the Beanbags and the beach front. Most seats were taken during the day, as it is popular for both residents and tourists. The drinks are reasonably priced, and they offer a BBQ buffet. How to get there: Taking a taxi should be the best way to get there. Head south to the end of Chaweng Beach and continue onto Ring Road – at about two kilometers on the left, there will be a sign and the parking lot. 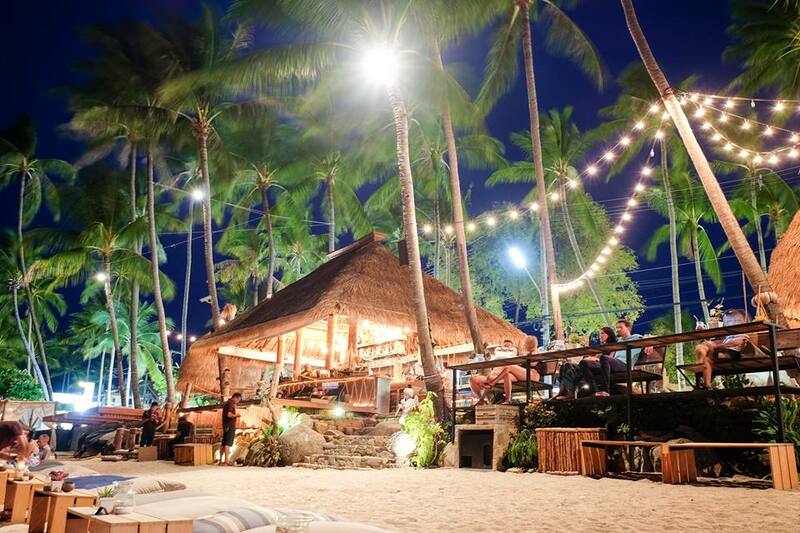 At 15 minutes away from Amari Koh Samui, Coco Tam’s is located at Bophut Beach, where the Fisherman Market happens every Friday. 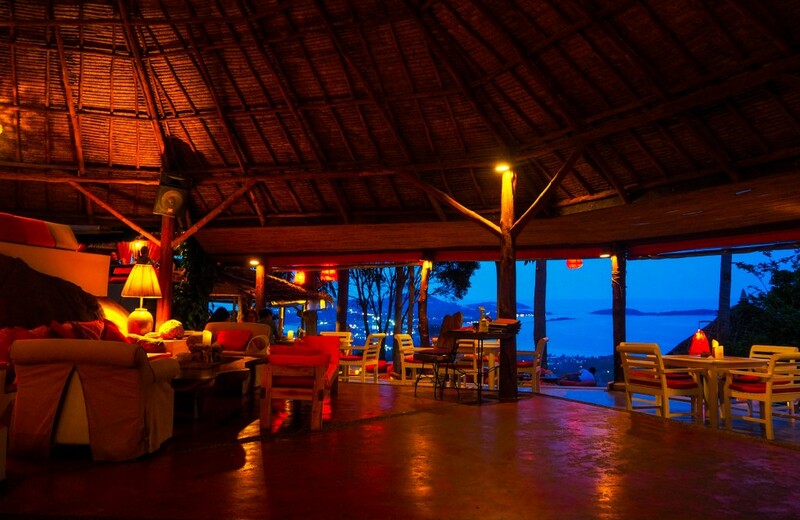 Enjoy cocktails, fresh coconut or some ice cold beer as you sit back and relax or take a swim. 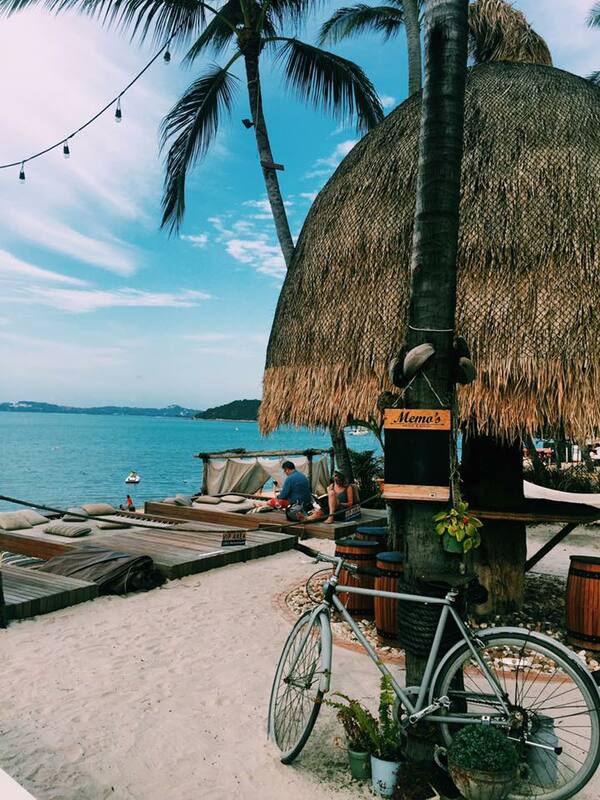 How to get there: Head north to Bophut Beach and to the Fisherman Village.